Browse: Home / IMAP-Brute ~ Multi-Threaded IMAP Brute Forcer. NOTICE : PLEASE USE IT ETHICALLY. 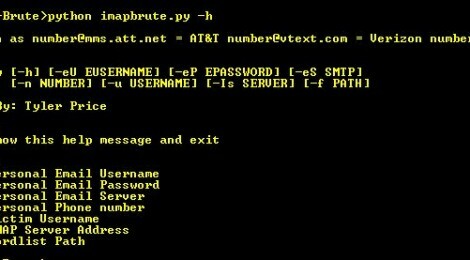 Multi-Threaded IMAP Brute Forcer with the ability to send a text message to you if or when the password is found. All Platform Support: WIndows, Unix/Linux and Mac OSX. ← Updates iptv – search and brute force illegal iptv server.